I'm a freelance writer working in Manchester. Christmas holidays are nearly upon us, and if you're wondering what to do with the kids when they're climbing the walls after all those selection boxes and candy canes, why not take them on a trip to explore the Walking with The Snowman Trail? The perfect day out for getting the whole family into to the festive spirit, this treasure hunt with a difference takes place in Salford Quays, just a stone's throw from Manchester City Centre. It's guaranteed to keep kids and grown-ups engaged, and it might even help you burn off that Christmas dinner too! It's also ideal for keeping the kids happy if you want to tie in a bit of Christmas/sales shopping along the way too. So what are you waiting for? What is the Walking with The Snowman Trail? 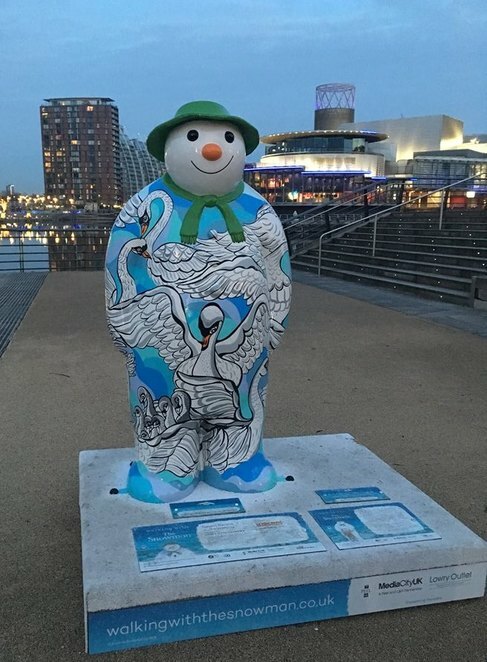 To celebrate the 40th anniversary of Raymond Briggs' magical tale The Snowman, twelve snowman sculptures have been placed in various locations around Salford Quays. Each snowman has been beautifully painted, depicting illustrations of one of the twelve days of Christmas. Walking with The Snowman is the brainchild of Wild in Art (who is also responsible for this year's incredibly successful Bee in the City). If you just can't get enough of these stunning sculptures, there are smaller ones on display at the Lowry Outlet, and in the reception area of the BBC, MediaCityUK building. These have been specially designed and painted by local school children around Salford, and are a great way to see lots of snowmen together. They looked very impressive. Which Artists Are involved in Walking with the Snowman? Where Should I Start the Snowman Trail? It's totally up to you, and how you can want to tackle it. We darted from one to another, as the kids excitedly spotted snowmen across the water, or further down the path. The downfall to this is that you're bound to miss out a couple, and then you will have to retrace your steps if you want to find them all. So it probably takes longer in the end. If you prefer a more strategic approach, you can start at Number One -A Partridge in a Pear Tree (which can be found on the ground floor of the Lowry Outlet), and work your way through in order. Handy maps can be found at this starting point, to help you on your way. There are also a few activities for the kids to do in the booklet too. Alternatively, the trail can be downloaded here. Will I Be Able to See All 12 Snowmen Easily? Guess which one this is! 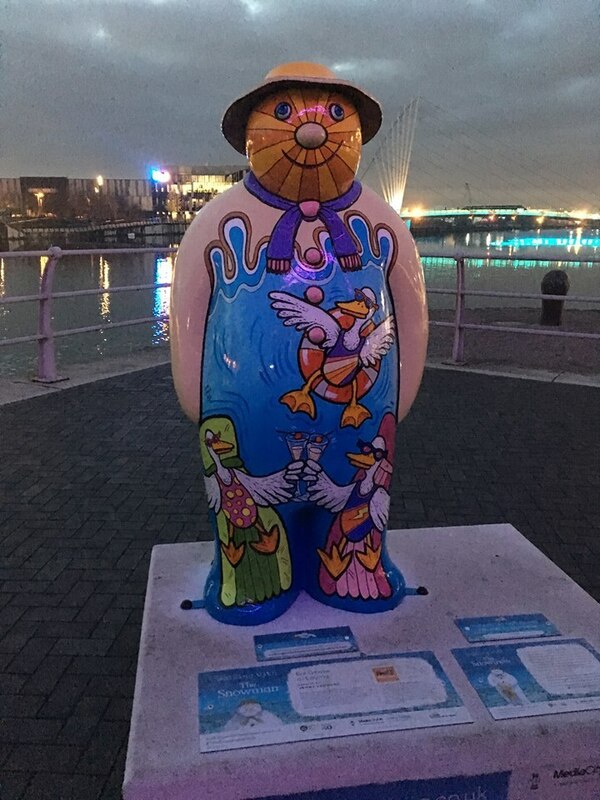 Unlike Bee in the City, the twelve snowmen are located closely to each other, so it's a relatively easy walk for small legs. 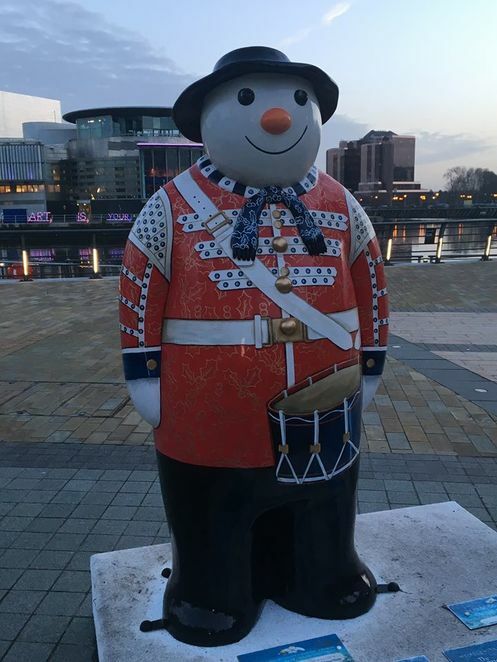 The majority of the snowmen are located around the Lowry Theatre and at MediaCityUK, with only a few spread further out. How Can I Get to the Snowman Trail? If you're getting the Metrolink, you should get off at Media City UK tram stop. Altern,atively there are two car parks close by, one at the Lowry Outlet and one at MediaCityUK. 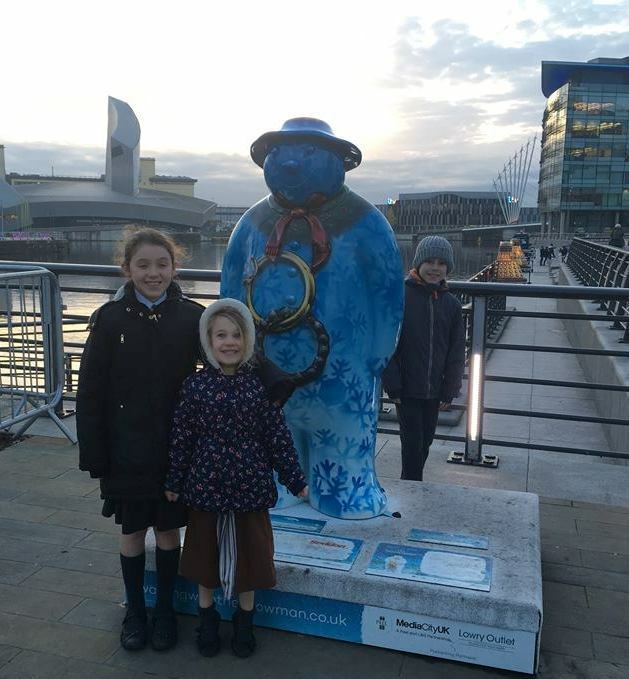 How Long Will the Snowmen be on Display? Walking with the Snowman runs from 22nd November 2018 until 6th January 2019, so there's plenty of time to visit over Christmas. 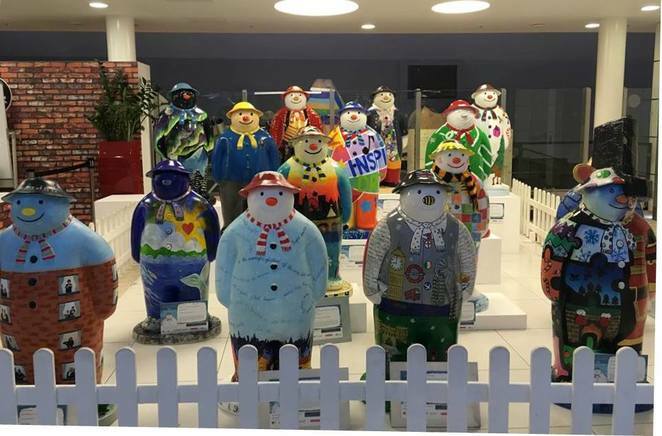 After the snowmen have been displayed, they are being auctioned off to raise money for BBC's Children in Need, to help children throughout the UK. So if you would like your very own snowman to put pride of place in your house, why not place a bid? The auction is already open and can be found here. So this Christmas, why not escape the house and explore the snowman trail with the whole family....and don't forget to have fun teaching the kids the lyrics to this well known festive song whilst you're doing so! For more great days out this Christmas see here.